The decision to add a shower to your bathroom is often because you are looking for convenience, functionality and practicality while saving on floor space. But at the same time you need to make a lot of decisions when it comes to installing shower, including where you are going to place it. The placement of your shower is imperative when designing a bathroom, you obviously want to save on floor space, but you still want to enjoy the functionality and practicality a shower has to offer. The best way to achieve this is to work to a strict bathroom layout with clear measurements that will help you determine the best place for your shower and the best size shower tray, this way you are assured that your shower will not be too big and overpower your bathroom space. Once you know exactly where you intend placing your shower and the size shower tray you need, you can start shopping around. There are a number of shower trays available in various shapes and sizes, so you are guaranteed to find the right one for your bathroom space. 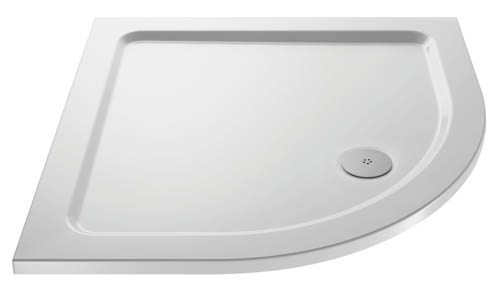 Quadrant shower trays are the ideal choice if you intend placing your shower in the corner. These are generally square or rectangular in design with a stylish curved front and work beautifully with the quadrant shower enclosures which have sliding doors helping you maximise your space. Then there are the rectangular or square shower trays, which can be placed in the corner or along the wall with ease. 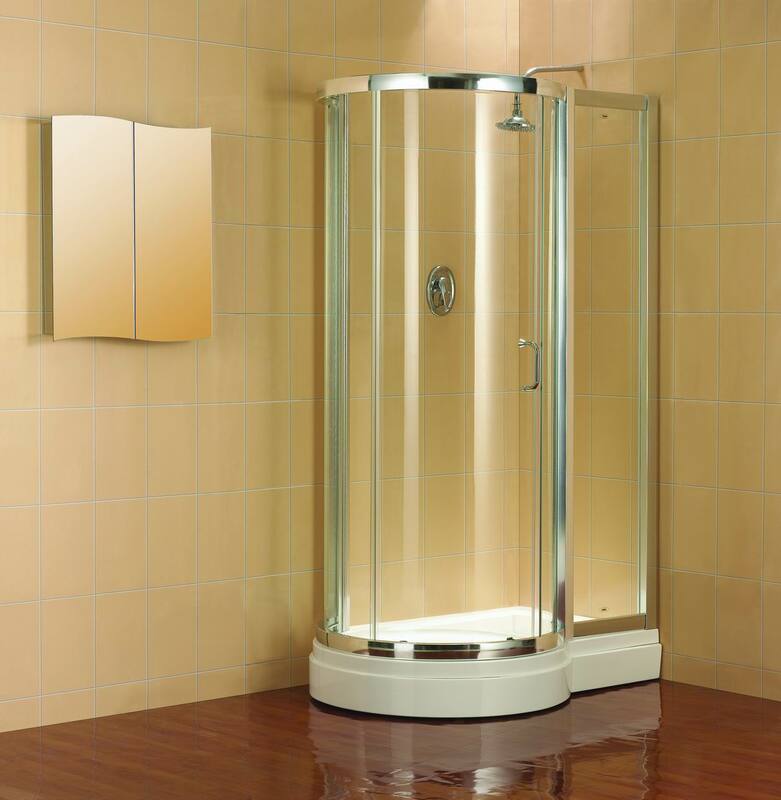 Now that you have your shower tray it’s time to decide on the best enclosure that will work within your bathroom space. There are such a wide variety available. If you are limited on space then the sliding door, bi-fold door and the walk in designs are the best choice. These three enclosures do not have a door that swings open. If you want a large opening and a door that swings open you have a choice of either the pivot or hinged door shower enclosures to choose from. My favourite part of designing any shower is choosing a shower head. These days shower heads come in such a great selection of shapes and sizes. There are the star shaped shower heads, the square and even the round designs. When choosing shower heads bear in mind that you can mount them either on the wall or directly above on the ceiling. Are You Having Problems Finding The Perfect Shower? Are you having problems finding the perfect shower for your bathroom? So many designs to choose from and so many enclosures available, finding the perfect fit can seem a little daunting. Of course you don’t want your shower to be so big it overpowers your bathroom at the same time you don’t want it so small it gets lost in the space. Another important thing is you want to place your shower where you want it. The first place to start when looking for a shower for your bathroom is to measure the space available. I always work to a detailed bathroom layout with all the measurements in place enabling me to find the right bathroom products that will blend in beautifully with my overall design. You may prefer the idea of having a rectangular shower tray in the corner of your bathroom, but once you have used a shower enclosure side panel on one side and the walls on the other two sides, you realise that the door you have chosen is that little bit too small. This is not the train smash, you do not have to choose another door. Shower enclosure inline panels are the ideal solution enabling you to seal off the space making it watertight. Personally when I look at a bathroom, I get a clear indication of the size shower I want and where I want to place it. With so many great designs available I can choose corner showers, sliding door options, hinged door options and even elegant walk in designs. Often once I have my tray and enclosure, I realise that the two don’t fit perfectly together. Again the shower enclosure inline panels are a solution, enabling me to have any shower design I choose. One of my favourite shower enclosures for the modern bathroom design is the walk-in options. The reason for this is they are minimalistic, elegant and sophisticated. Not to mention there is no door you need to worry about opening and closing. The walk-in shower enclosures work beautifully with either square or rectangular shower trays and when they don’t fit perfectly, I use the shower enclosure inline panels to seal off the tray making it watertight. 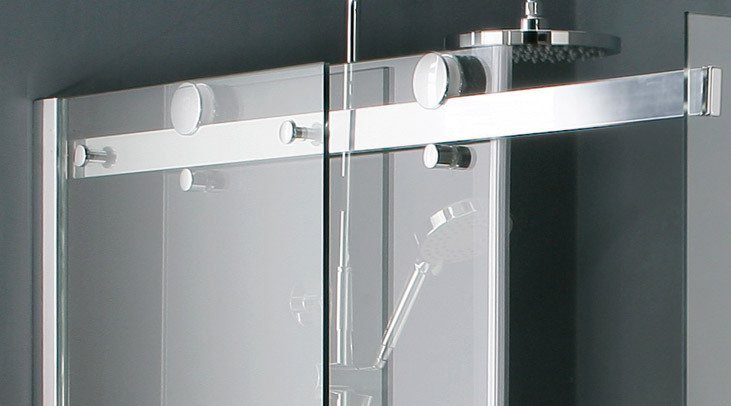 The shower enclosure inline panels are a slim pane of clear glass that slots in next to your shower door enclosure, without ruining the overall design of the shower. There are four things you need for any shower design. You need your shower tray, shower enclosure, shower head and controls. 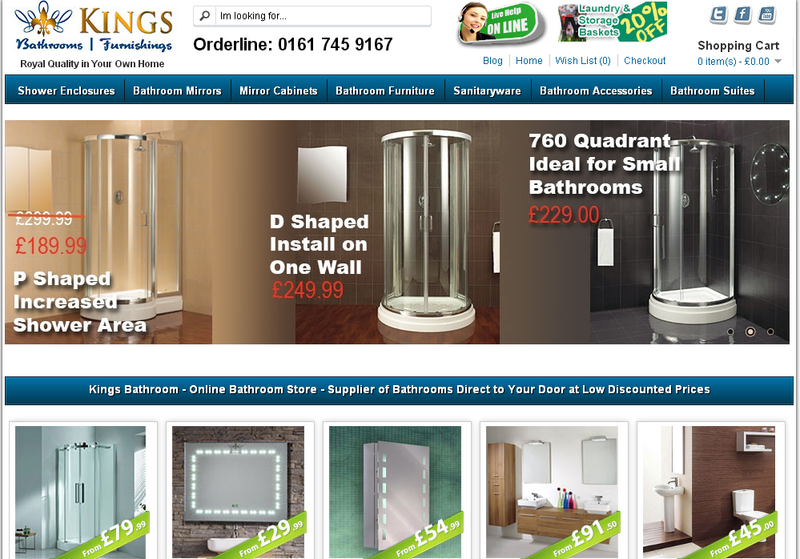 In order to make things more affordable and easier, there are a choice of shower sets available. Once you have chosen the right tray for your bathroom design and combined it with a shower enclosure you can start concentrating on the shower sets. Shower sets are not only affordable, but are convenient especially in a bathroom that is shared by a number of people. The shower sets include thermostatic controls, a rod which is mounted vertically to the wall which holds the shower head. When you have people using the shower which are all different heights, the ability to adjust the height of the shower head can add functionality to the space, ensuring they have the best possible showering experience. There are a number of shower sets available in a choice of great designs which you can blend into your overall design with ease. There are round ones for the traditional bathroom and then flat round ones for the modern bathroom, not to mention the minimalistic square options available. When you think affordability, convenience and functionality for your shower, shower sets are the easiest option available. If you want to add a wow factor you can always incorporate shower jets which will give your bathroom that spa-inspired design on a minimal budget. These days we are all trying to save money wherever possible, but home improvements and renovations are essential in increasing the value of your property. You can turn your bathroom into a masterpiece without breaking the bank and the shower sets are just one of the ways you can achieve this. The twin concealed thermostatic shower valve and rail kit is one of my favourite choices when it comes to the shower sets. The controls are a plate mounted on the shower wall with two dials, very stylish indeed. The shower set itself comprises of a rail with a rectangular and minimalistic shower head which is not only stylish, but very sophisticated and elegant and will blend in beautifully with any bathroom design. For a traditional bathroom design you may prefer the kit 7 design which comprises of an exposed thermostat with two dials, one to manage your water pressure and the other the temperature. Mounted to the rail is a round shower head which will blend in to any traditional bathroom design. Many homes struggle with their bathroom design because they are working with limited space. This isn’t a surprise these days as bathrooms seem to be getting smaller by the year. What options do you have? Well the first is to install a shower rather than a bath, but just because you have to have a shower doesn’t mean that it can’t be something special. There are so many options available when it comes to the shower trays available, the enclosures, the shower heads or sets and even stunning shower jets that can give you a completely luxurious showering experience. In order to make your shower something special in the smaller bathroom design I suggest a square or rectangular shower tray combined with bi fold door shower enclosures. The reason I love the bi fold shower door enclosures is that they work on a concertina effect, which is unique and stylish. The doors fold away to the side of the shower offering you a large opening for getting in and out. Also the design is unique, it stands out and it’s very elegant for any bathroom design. Another reason for choosing the bi fold door shower enclosures rather than the hinged or pivot door design is that they don’t swing open into the bathroom space, by folding inwards towards the shower and opening to one side completely, you can maximise the amount of floor space you have without the concern that your door will swing open and get caught on an obstacle. Can you imagine having a swinging door that opens only part way because your vanity or toilet is in the way? That’s an inconvenience you do not have to deal with when choosing these bi fold shower door enclosures. The next thing to look at is the shower head you want to install. There are fantastic designs available which will blend in with all your other fixtures and fittings such as the large square shower heads or the star designed shower head, really making the space special. Shower sets are also a great way to go, enabling you to find the right design for your bathroom at an affordable price and leaving some budget over for your shower jets. The jets are mounted in your shower wall at heights that ensure that the spray covers your body with warm pressured water, just another way to turn your shower design into a unique and special space.